Une nouvelle exposition rassemblant 14 joailliers québécois s’installe finalement à Montréal, après un passage aux États-Unis et à Ottawa. 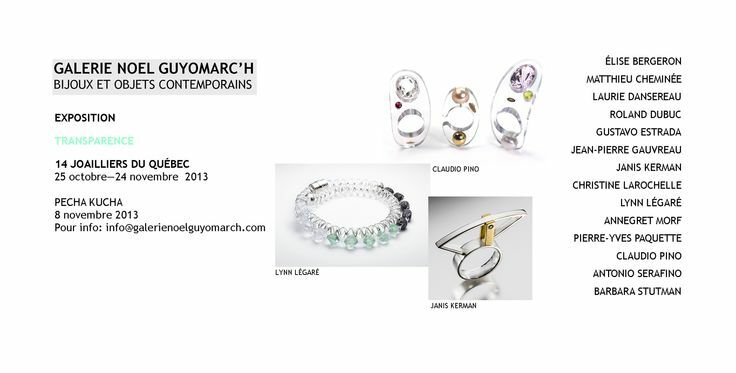 Dévoilement le vendredi 25 octobre dès 17h à la Galerie Noel Guyomarc’h, située au 4836, boulevard Saint-Laurent, à Montréal, l’exposition présente des œuvres inédites inspirées du thème Transparence. Le collectif de 14 joailliers québécois a déjà connu un vif succès dans la capitale nationale et à New York, où ils exposeront à nouveau en 2015. 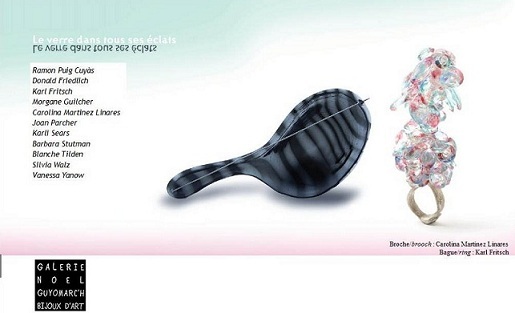 L’exposition Transparence sera présentée jusqu’au 24 novembre prochain à la Galerie Noel Guyomarc’h, où les visiteurs auront la chance d’admirer le travail des joailliers, de se familiariser avec cette véritable forme d’art, de même que de se procurer des pièces uniques signées par les 14 artistes réputés. The Exhibition is brought in partnership with the Québec Government Office in New York and SODEC, the Québec government body that matches the passion of artistic creation with the power of economic development; providing cultural enterprises with solutions designed to nurture Québec artists and promote the production, distribution and exportation of their work. The celebration of artistry and creativity is as ingrained in the culture of Québec as it is a calling card for New York City. 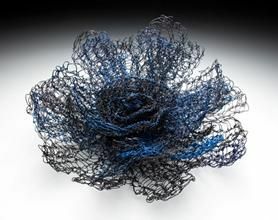 It was thus inevitable that such a shared principle would lead to the upcoming exhibition, “Innovation and Craftsmanship in Metal: Jewelry Artists of Québec”, opening at Aaron Faber Gallery, 666 Fifth Avenue, New York, NY on Thursday, May 3, 2012. 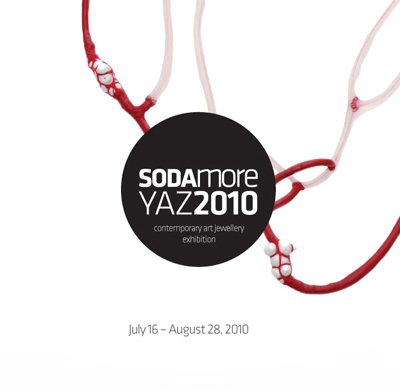 Ongoing through May 26, 2012, the exhibition will feature fourteen of Québec’s most talented jewelry artists, and their extraordinary maneuverings in precious and semi-precious metals and stones. 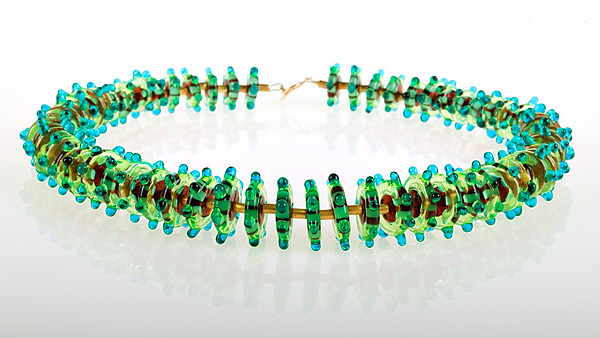 Debuting in its first year at Aaron Faber Gallery, Jewelry Artists of Québec offers both trade and consumers a glimpse of highly original works of jewelry artistry using precious and semi-precious stones and metals. 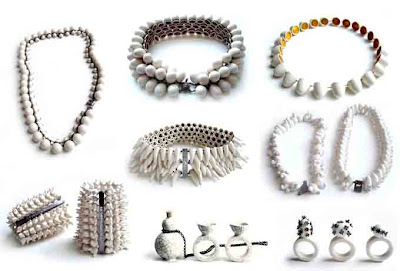 The fourteen participating Québecois artists have audaciously redefined conventional approaches to jewelry design, with each artist’s viewpoint quite distinctly their own. 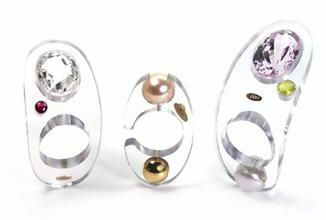 While Claudio Pino’s kinetic movement rings are painstakingly designed to do more than just adorn a finger, Matthieu Cheminee bestows young, fresh life to old, discarded jewelry in a recycled kaleidoscope of sculptural virtuosity. As Janis Kerman entices us to see the beauty in opposites and asymmetrical balance, Laurie Dansereau invites us to become one with nature as her floral necklaces garnish décolletages in a splendor of anthers and petals in sterling silver and exotic woods. And as Jean-Pierre Gauvreau’s rings capture the grand pursuits of the most genius architects, Pierre-Yves Paquette uses the ancient art of mokume gane to harmonize various hues of gold and silver into a visually stunning crescendo. 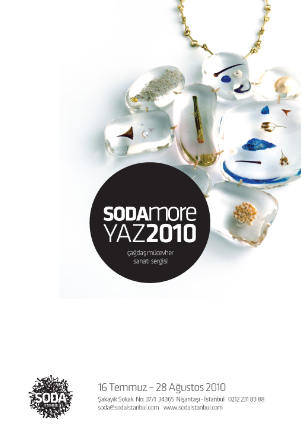 « SERAFINO » rings from ‘Sarabande’ collection - Annegret Morf and Antonio Serafino began SERAFINO in 1999 in Montreal. 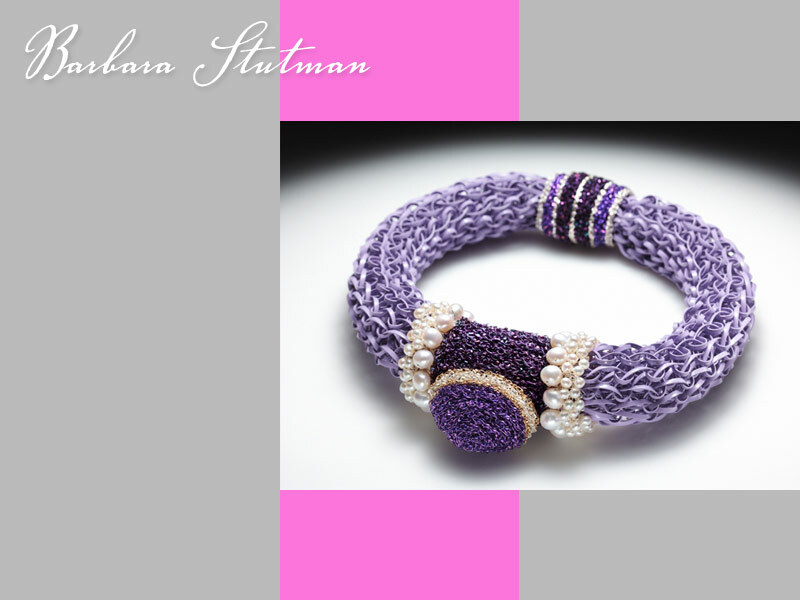 Barbara Stutman – Amethyst & Pearl Delight, for a Maharajah – 2010 – Freshwater pearls, coloured and silver-plated copper wire, vinyl lacing, seedbeads, magnets. 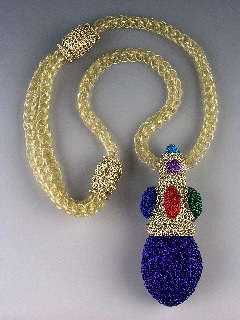 Spool knit, crochet. 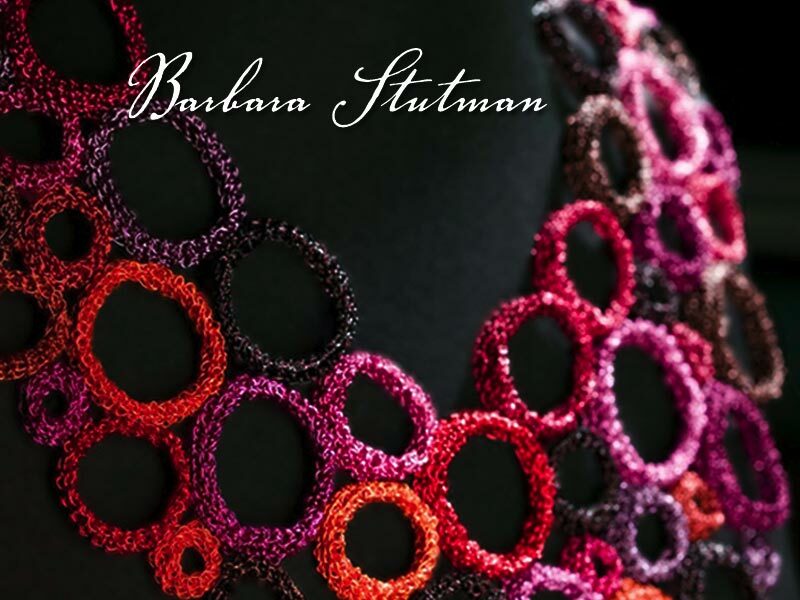 Barbara Stutman specializes in textile techniques such as weaving, knitting and crocheting using metal wire. 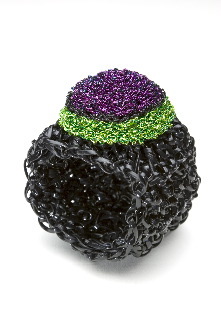 Since 1982 her innovative jewellery has been exhibited widely in galleries and museums in Canada and the United States, Europe and Asia; it has been published in numerous art journals, catalogues and books. Her work is in the permanent collections of the Museum of Arts and Design New York City, the Montreal Museum of Fine Arts, Le Musée du Québec and the Koch Ring Collection in Switzerland. 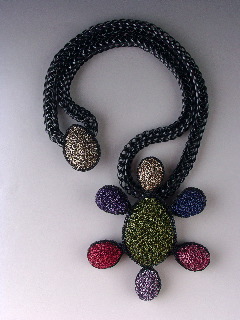 ‘Ruby reds, for a Maharajah, Collier royale’ R13, silver, colored copper wire, seed bead and magnet.